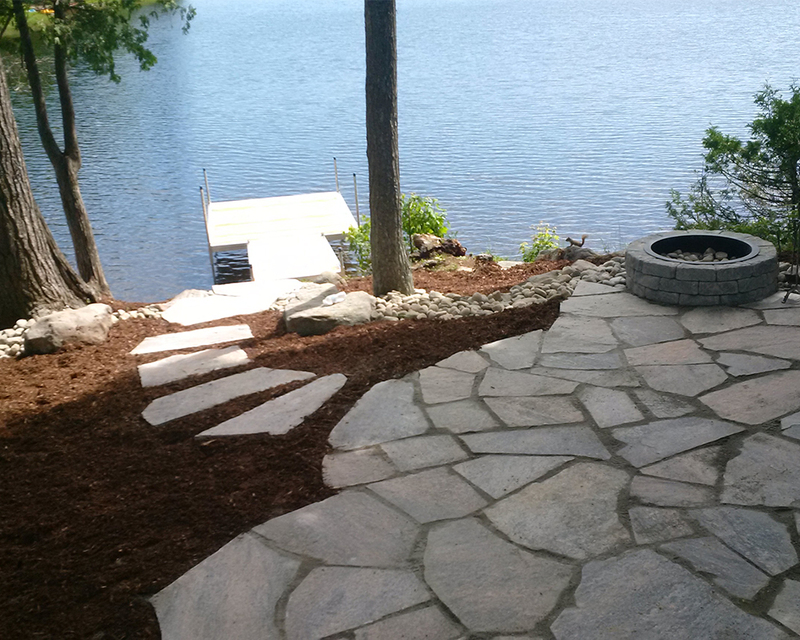 Our Design Process Begins with You. 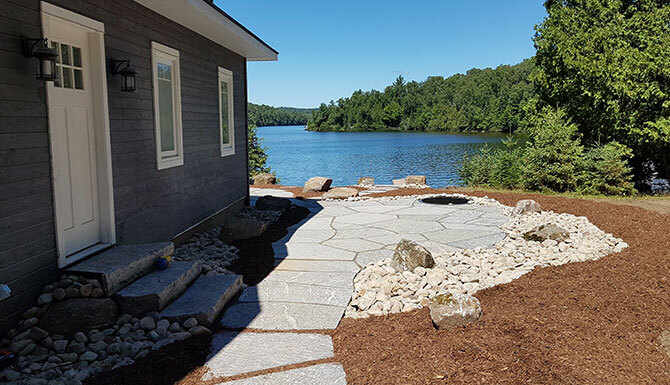 We take your property characteristics, landscape needs and personal aesthetic into account when developing a landscape plan to fityour lifestyle. 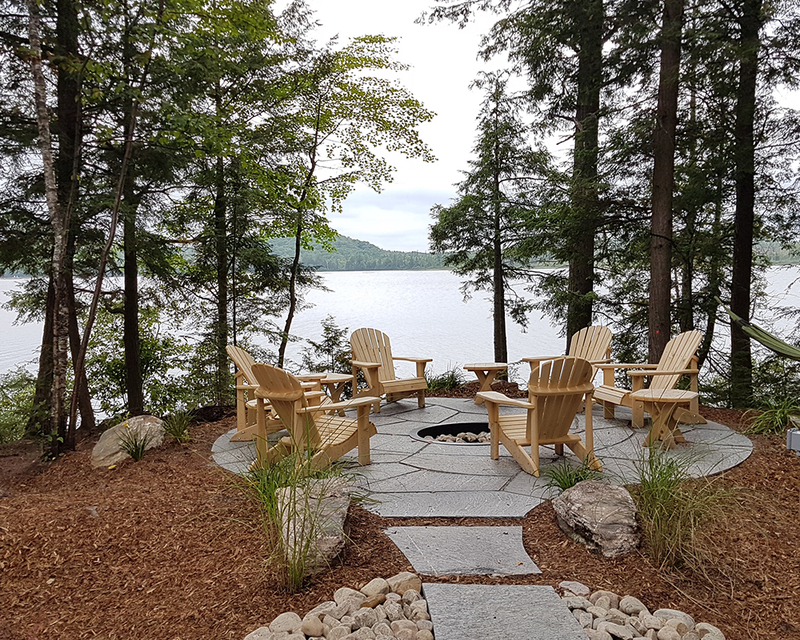 Through this collaborative planning process, we will make the final decisions together, but you canlave the construction details, planting selections, cost-estimating, and installation scheduling to us. 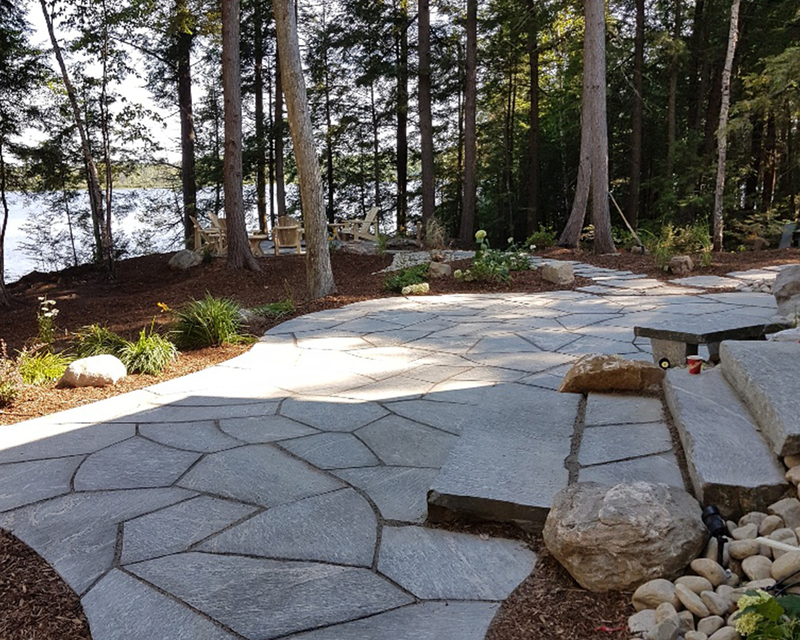 When it’s time to apply the approved design or concept to your landscape, we have the equipment and knowledge to fulfill your project. 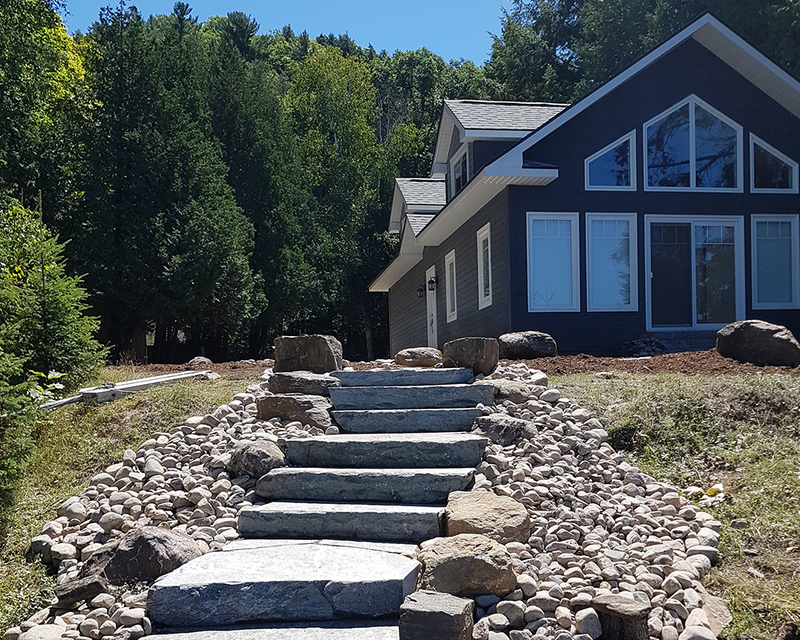 Our approach focuses on your practical needs, and how to create a landscape that is functional, beautiful and requires little maintenance. 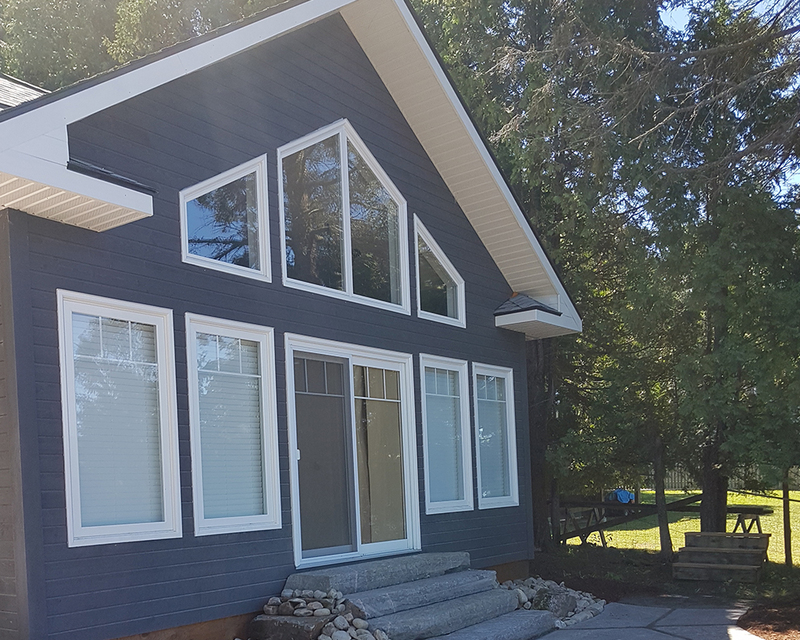 Keeping the Authenticity of Your Property in Mind. 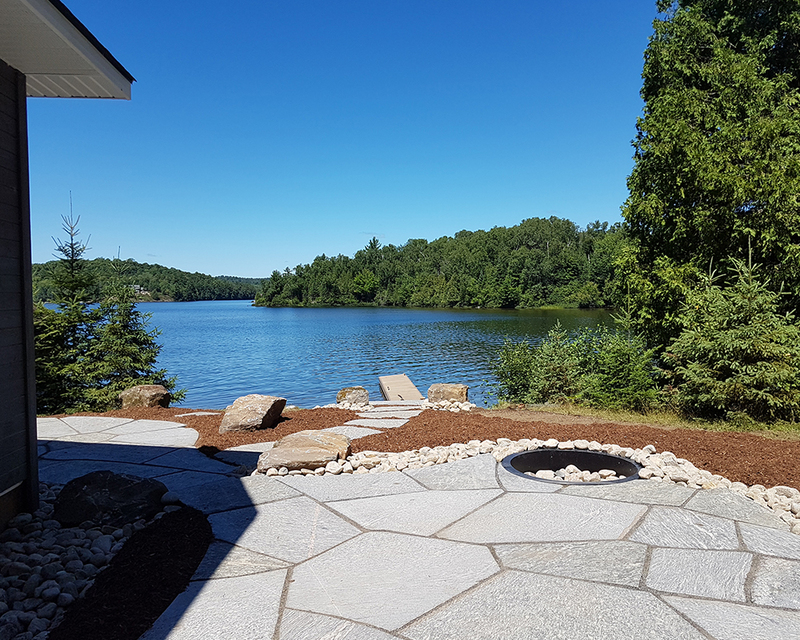 We specialize in utilizing the landscape’s natural space and elements to blend seamlessly into its surroundings. 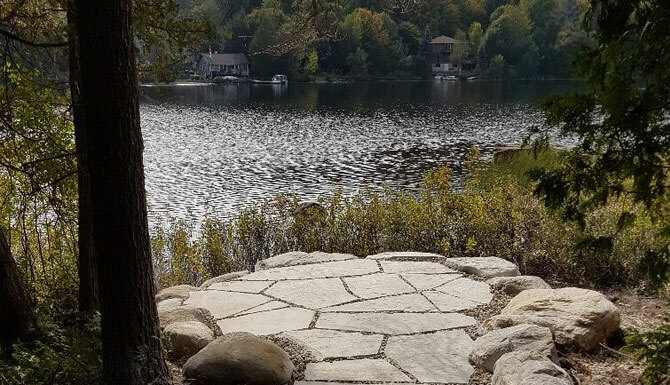 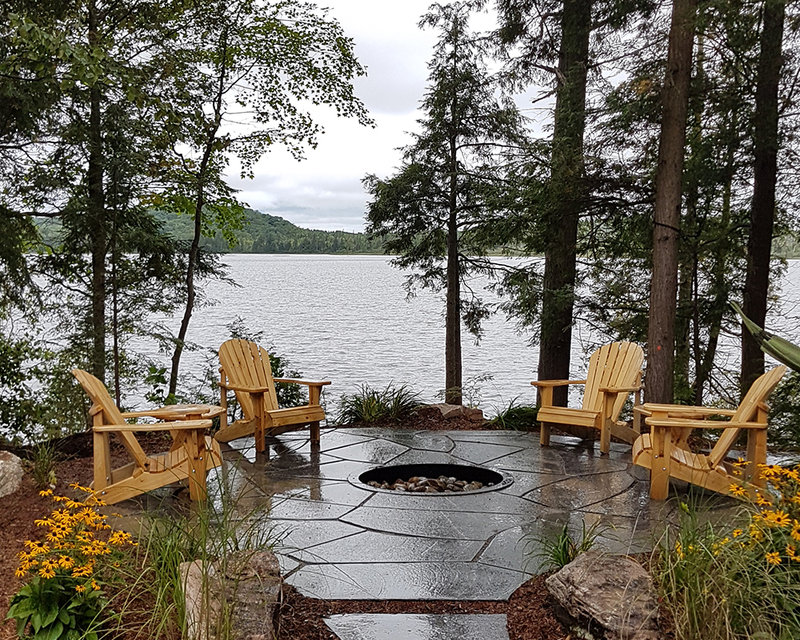 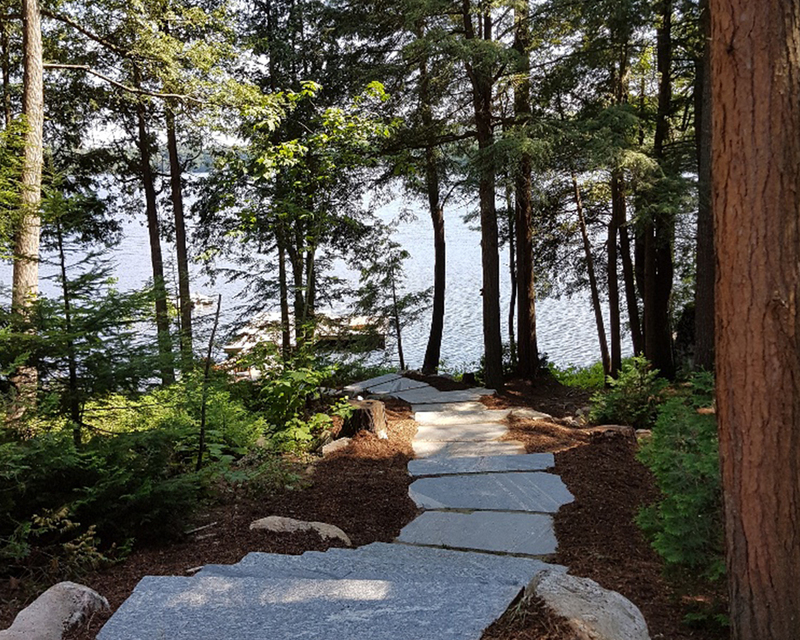 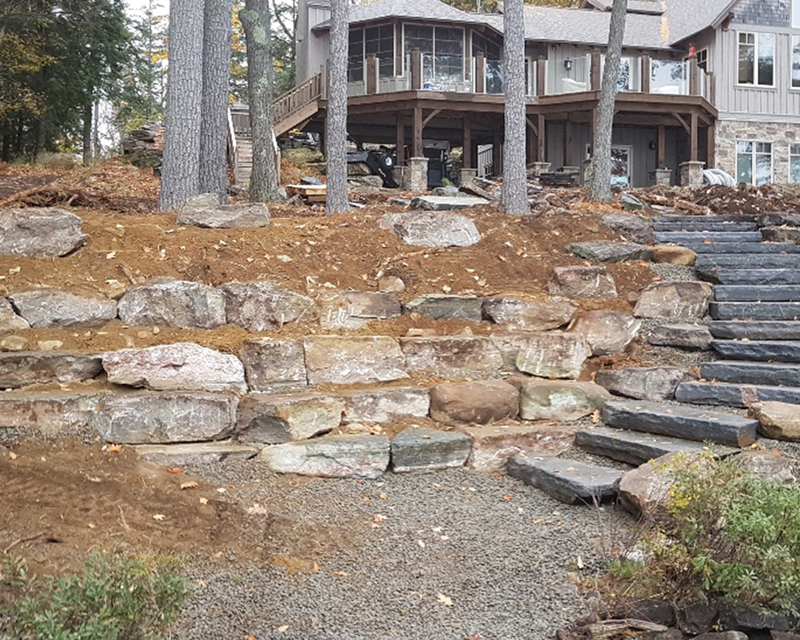 Using natural stone and specific materials, such as granite steps (a long-lasting alternative to wood steps), flagstone, wall stone, river stone, field stone boulders, and crushed stone sourced from the area, we’re able to emphasize your landscape’s inherit beauty. 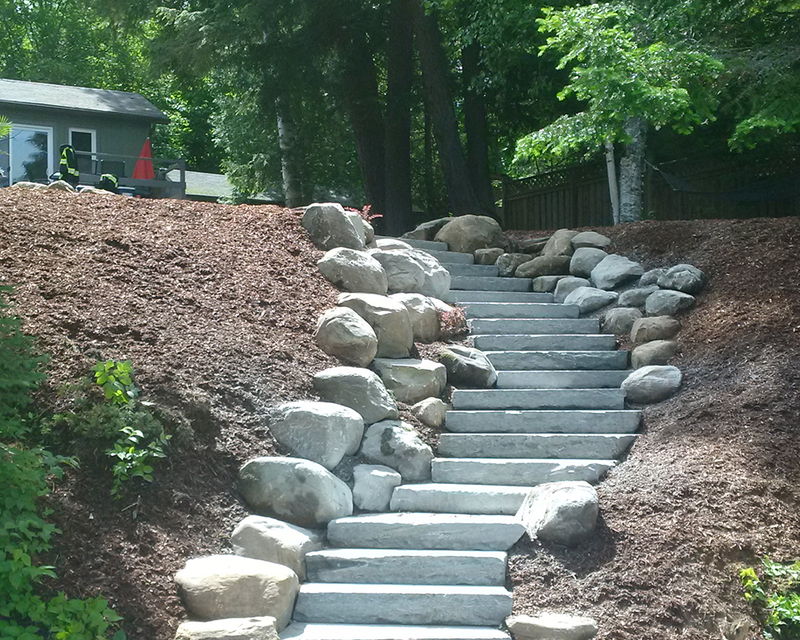 We add a sophisticated touch, pairing these natural features with coloured mulches and indigenous hardy species.